Wendy’s organizational culture is a defining factor on how customers, employees and investors view the business. A company’s organizational culture is the combination of values, traditions, and expectations that affect employees’ behaviors. At Wendy’s, human resources are developed to reinforce the company’s organizational culture. 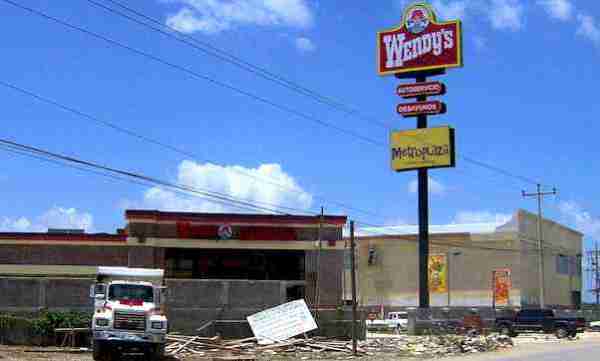 This culture is based on Wendy’s business needs and aims for competitiveness. As one of the biggest firms in the global fast food restaurant industry, Wendy’s uses its corporate culture to optimize employee performance and customer satisfaction. This condition supports Wendy’s business goals and strategic objectives. Wendy’s develops its organizational culture to add to competitiveness. The resulting employee behaviors contribute to customer satisfaction and Wendy’s high business performance. People-First Attitude. People are a top priority in Wendy’s organizational culture. In this regard, the company’s objective is to ensure that all stakeholders are properly considered. Wendy’s believes that people are the foundation of its business. Wendy’s integrates the needs of employees, customers and business partners in its policy development processes. Employees are expected to ensure that people’s concerns are considered. Thus, this organizational culture facilitates Wendy’s effectiveness in developing its human resources and corporate social responsibility programs. Emphasis on Quality. Wendy’s mission statement and vision statement highlight the importance of quality. This factor is also integrated in the company’s organizational culture. Wendy’s believes that quality is the main selling point of its products. Based on this organizational culture, Wendy’s continues to innovate with high quality to attract consumers to its restaurants around the world. Employees are expected to adhere to high quality standards. In this way, Wendy’s organizational culture supports competitiveness focused on product/service quality. Ethical Action. Wendy’s includes ethical action in its organizational culture. This factor is viewed as a determinant of the company’s ability to address needs, rules and expectations. Wendy’s has three main thrusts in this component of its organizational culture: (1) honesty, (2) integrity, and (3) respect for one another. These virtues influence employees’ decisions. Wendy’s believes that the business and employees are more likely to achieve high performance by applying these principles. Thus, Wendy’s organizational culture also supports ethical conduct and helps prevent illegal activity. An advantage of Wendy’s organizational culture is its emphasis on quality, which leads to better outcomes, such as high quality products. Another advantage is that this organizational culture addresses the company’s corporate social responsibilities. However, a major disadvantage is that it does not integrate flexibility. Also, Wendy’s organizational culture does not directly include leadership. Nonetheless, the emphasis on quality indirectly implies consideration for excellence and leadership in Wendy’s organizational output. Büschgens, T., Bausch, A., & Balkin, D. B. (2013). Organizational Culture and Innovation: A Meta‐Analytic Review. Journal of product innovation management, 30(4), 763-781. Glisson, C. (2015). The role of organizational culture and climate in innovation and effectiveness. Human Service Organizations: Management, Leadership & Governance, 39(4), 245-250. Hartnell, C. A., Ou, A. Y., & Kinicki, A. (2011). Organizational culture and organizational effectiveness: a meta-analytic investigation of the competing values framework’s theoretical suppositions. Journal of Applied Psychology,96(4), 677. Lukas, B. A., Whitwell, G. J., & Heide, J. B. (2013). Why do customers get more than they need? How organizational culture shapes product capability decisions. Journal of Marketing, 77(1), 1-12. Naranjo-Valencia, J. C., Jimenez-Jimenez, D., & Sanz-Valle, R. (2011). Innovation or imitation? The role of organizational culture. Management Decision, 49(1), 55-72. O’Reilly, C. A., Caldwell, D. F., Chatman, J. A., & Doerr, B. (2014). The Promise and Problems of Organizational Culture: CEO Personality, Culture, and Firm Performance. Group & Organization Management, 39(6), 595-625. The Wendy’s Company (2015). Corporate and Field Opportunities: Our Culture. The Wendy’s Company (2015). Our People.